The aim of this web site is to make more widely available the writings of the late Ven. 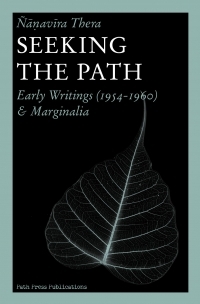 Ñāṇavīra Thera which, though of extraordinary quality and depth, do not—for different reasons—attract any of the established Buddhist publishers. 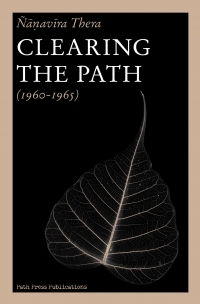 It is presented as a dhammadāna (gift of Dhamma) and with a deep sense of gratitude by individuals whose lives were significantly affected by an encounter with these writings, in the hope that others, too, might appreciate the right-view guidance which is offered therein. Perhaps this page will serve as a useful eye-opener for those seeking an understanding of its more fundamental principles. It can also communicate the attitude of earnestness towards Dhamma practice, which is regarded not merely as a matter of choice but rather an existential necessity. For without this basic attitude, the practice of Buddhist meditation will remain in the worldly sphere and will never be able to bear the fruits of noble insight leading to liberation from the 'world'. 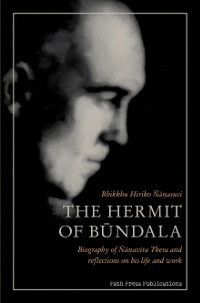 New Second, revised & updated edition of "The Hermit of Bundala", biography of Ven. 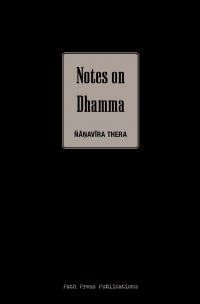 Ñāṇavīra Thera written by Ven. Hiriko. 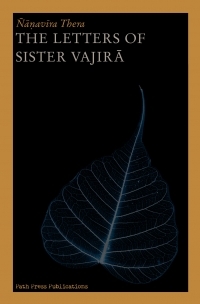 The present book is an attempt to compile all that is known about Ñāṇavīra’s life and thought, from his birth in an upper-class family in England, serving in World War II in Algeria and Italy, ordaining in the famous Island Hermitage in Sri Lanka, and spending ten years isolated in a jungle retreat at Būndala, where he meditated, reflected on Dhamma, and eventually attained partial liberation. It was there where he was able to recognize that the traditional understanding of Dhamma is not wholly justified by the Suttas, that it does not lead to the end of suffering, the goal of the Buddha’s Teaching, but rather blocks further progress. Then due to his chronic illnesses, which plagued his body for more than ten years, he ended this existence by his own hand. The book retells stories from after his death, about controversies, lost or burned letters, his surviving legacy, and the growth of interest in these writings till the present time. The book also includes contributions from well-known writers such as Dr. Helmuth Hecker, Dr. John Stella and Prof. Forrest Williams. New Series of Talks on "Notes on Dhamma"
New Series of Talks on Ven. 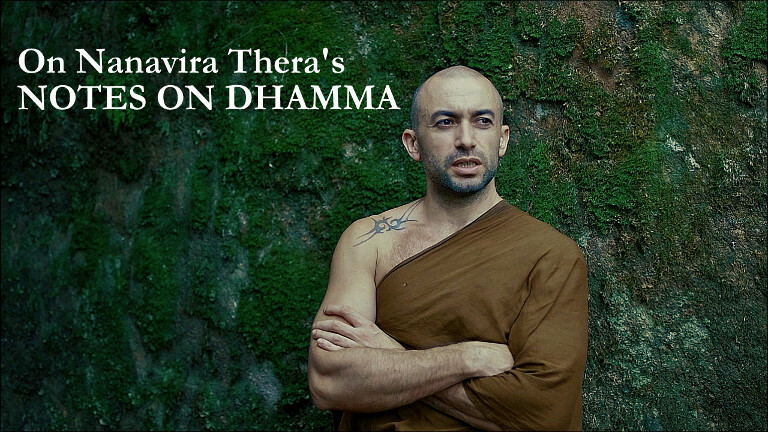 Ñāṇavīra Thera's “Notes on Dhamma” will be posted on YouTube at the link below. Ven. Ñāṇamoli Thera is clarifying each individual Note and responding to the questions related to it. This means we can expect one video per Note. Later there might be more recordings in response to further requests for clarification, if so happens. Or click HERE to be directed to YouTube videos.